Rover might be able to stamp down on drake-faced spies like No 6, but the super technology used in the bouncing security system seems unable to stop an infestation of rare and strange creatures. Super spy internment camp The Village has been revealed as a hot spot for hard to find Pokémon Go characters. Though given how dodgy mobile reception can be round here, hot spot might not be the right description even if near-by Penryndudraeth takes pride in being the first networked village in Wales. 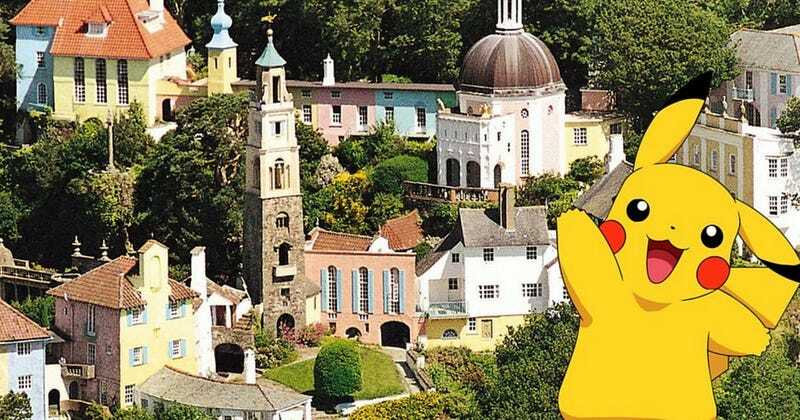 Architect Sir Clough Williams-Ellis’s Italianiate folly Portmeirion, which gained cult status as the home of Patrick McGhoohan’s The Prisoner has seen a 13 per cent spike in visitors since the UK launch of Pokémon Go. For once the Pokémon hunters are a welcome force. The Cambrian News reports that Portmeirion has three gyms and loads of “hard to find cartoon critters.” Mandragora energy seems to have dispersed since The Doctor and Sarah Jane dropped by in the 16th Century.